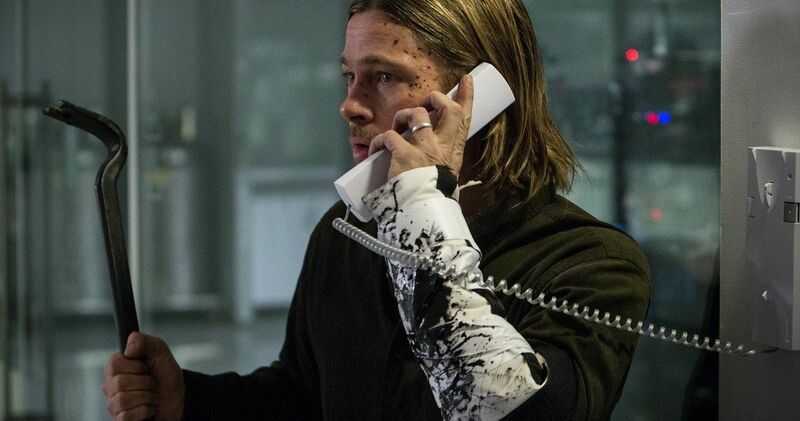 Could we be seeing World War Z 2 sooner than we thought? That may sound a little silly to say, considering that many zombie lovers have been waiting for the sequel ever since the first movie was released in 2013, going on six years ago now. But last we heard, production was gearing up for June of this year. However, it appears as though that timeline has been bumped up by a few months, with filming now slated to begin in March. According to a new production listing, World War Z 2 (which hasn’t been confirmed as the official title) will kick off production in March and will film throughout the year in locations such as Thailand and Spain. It’s expected to be a long shoot, with production not expected to wrap until 2020. When last we heard, it was producers Jeremy Kleiner and Dede Gardner who provided the possible June start date. But that was back in October. Things change and schedules shift. Paramount has been trying to get this movie made for a while now and if they’ve got a window to make it happen, they’re probably going to make it happen. The original World War Z, which is based on Max Brooks’ novel of the same name, was plagued with production problems. Thanks to a whole bunch of reshoots, the Marc Forster-directed zombie flick managed to do quite well for itself, bringing in $540 million worldwide. Even with the massive $190 million reported production budget, that’s not bad. But, given the rough production, the studio seemed to be a bit hesitant when it came to pulling the trigger on a sequel, even with a big star like Brad Pitt attached to reprise his role. However, Paramount became much more interested once Brad Pitt convinced his buddy and frequent collaborator David Fincher, the man behind such hits as Seven and Fight Club, to come on board to direct the sequel. As exciting as that prospect remains, it’s also been part of the problem, as Fincher has been very busy working on other project, such as his Netflix series Mindhunter. Not to mention Pitt’s busy schedule. Despite all of that, it seems as though the pieces are finally being put in place. If they are indeed going to film in March, we should be hearing some casting news sooner rather than later. Given that it’s a David Fincher movie, we also wouldn’t be surprised if Paramount made some sort of splashy, formal announcement. This project has had quite a few false starts over the years, so we’d blame nobody for tempering expectations at this point. That said, don’t be surprised to learn that Brad Pitt is back at it trying to save humanity from zombies in the near future. World War Z 2 does not currently have a release date. We’ll be sure to keep you posted as further details on the project are made available. This news was first reported by Production Weekly.